The Tibetan-government-in-exile is reaching out to the Chinese diaspora, as part of its campaign to keep the Tibet issue on the international agenda. Dicki Chhoyang, spokeswoman for the Tibetan-government-in-exile, is in Australia for the annual Festival of Tibet in Brisbane but she's also embarked on a campaign of public outreach, to meet with not just the Tibetan community, but also the Chinese diaspora. CHHOYANG: We have been very active in reaching out to the Chinese community for several years, and Australia has an important Chinese community, so of course we think it's very important to meet people who believe in social justice and want to learn more about the issue of Tibet. And our message to them, is very simple. We are not seeking independence, that we're seeking a resolution to the issue of Tibet, through what we call genuine autonomy or the 'middle way' approach, within the framework of China's constitution, without challenging its political and territorial integrity. LAM: And how do you read the mood of the Chinese diaspora - are they, if not supportive, at least empathetic? CHHOYANG: You know, I think that gradually, people or individuals who're independent thinkers, are more open to hearing a version of what's going on inside Tibet and the policies that have been implemented inside Tibet, that are leading to the unrest we've been witnessing over the last half a century - a different version than the version that they (Chinese diaspora) grew up with, in the People's Republic of China. So we hope that that message spreads - so hopefully, just like there's an entire generation in China that has absolutely no clue about what happened in Tiananmen Square in 1989, hopefully, they will make the connection and say, "Well, we weren't told about Tiananmen Square, perhaps there're other events, where we haven't been given the accurate information. LAM: Do you find it an unequal struggle - a David and Goliath battle - given China's growing economic clout and indeed, using that wealth at its disposal, to perhaps influence global political agenda? CHHOYANG: Oh yes, of course. China is an emerging global power - economically and consequentially as well, politically. But what firmly believe in, is the fact that we have truth on our side and that internationally, as China does pressure governments to not broach the subject of Tibet, the issue of Tibet is much more than just about Tibetans. It's about peaceful conflict resolution, about sending a message to other marginalised groups and other political movements, who may not be as committed as we are to non-violence. That it does pay to stick to non-violence. For over fifty years, we have without any exception, steadfastly stuck to non-violence, and we are committed to do so. Right now, the autonomy we're asking for, is for the Chinese government to implement the regional autonomy laws that it has in its own constitution. Right now, it's all in writing, but in actual practice, it has not been implemented. Where all the decisions are taken in Beijing and at the local level, people are left to execute decisions that were made in Beijing. LAM: I'm sorry to interrupt, but there's also a migration of Han Chinese into Tibet. Are the newcomer Chinese interacting with the local Tibetans? CHHOYANG: Well, actually, this is a very interesting question that you're asking, because in terms of regional autonomy, if one goes to autonomous Tibetan regions, and neighbouring Chinese provinces, most of the high officials are all Han Chinese and on top of that, very few speak the local language. So how can you say you enjoy genuine autonomy when the local culture and language is not respected and also the local people do not have a say in mining projects, or economically marginalised, and also, very importantly, the language of instruction, with Tibetan being replaced with Mandarin, and this is a development over the last few years, which is absolutely unacceptable for local Tibetans. LAM: But doesn't that make assimilation a little bit easier, that local Tibetans can now speak Mandarin, the language of rule? CHHOYANG: Well, Tibetans, when they say they want to preserve their cultural identity, it's about including Tibetan culture and heritage, not about excluding Chinese culture. Of course Tibetans should learn how to speak Mandarin. Mandarin is a very practical language, it's our neighbours' language. So what they're saying is, we do not want to learn Mandarin at the expense of our language - we want a choice - whether we can send our children to Tibetan medium (schools) or Chinese medium. LAM: What is your reading of the situation, where the younger generation of ethnic Tibetans are concerned - are they learning to deal with Chinese rule now? CHHOYANG: Well, I think that with the wave of self-immolation, that's now numbering 124 since 2009, it's very clear that Tibetans inside Tibet are sending a clear signal to both the authorities in Beijing, as well as to the international community, that their policies in Tibet have failed, and that no matter how powerful China becomes globally, the issue of Tibet is not going to go away. 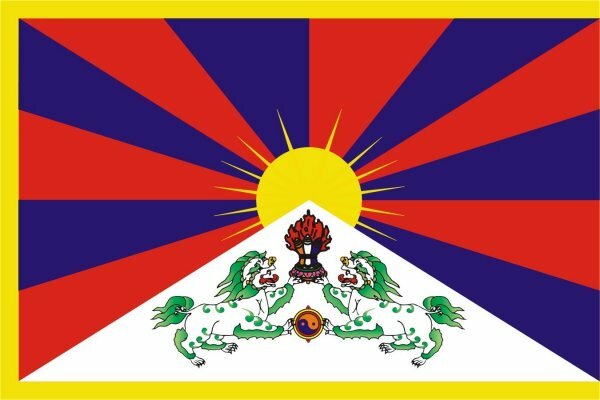 It's very clear from the signal that we get from inside Tibet, as well as in exile, where we have inter-generational leadership transfer and we have a new emerging younger generation that is rooted in both tradition values and modern education, that are also deeply committed to making sure that their voices are heard. We see a genuine of cultural risk of cultural assimilation. And while the international community is increasingly appreciating the messages of individuals like His Holiness, the Dalai Lama, we need to make the connection that what he represents, his message, is representative of the cultural heritage, that is now in danger of disappearing. And he is a by-product of Tibetan culture. And the culture doesn't live through books and museums, but through people.